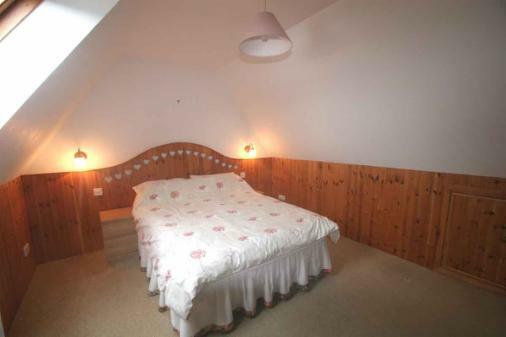 A double bedroom (with a king size bed) is upstairs along with the bathroom with shower over a bath. 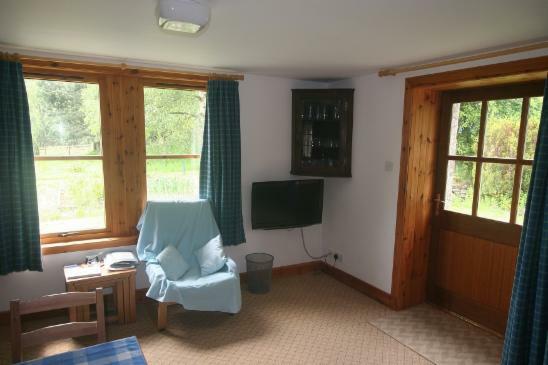 The second bedroom (downstairs) was formerly part of the steading and is equipped with bunkbeds. A cot is available (please mention when booking) for either bedroom. 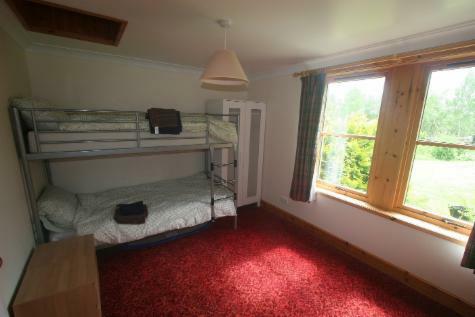 The kitchen and lounge is open plan. The lounge has armchairs and dining for 4 along with a Digital TV with integral DVD player and a range of books and games. This room overlooks the south-facing garden. 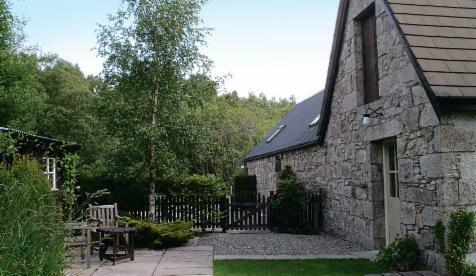 There is access to a sheltered patio with views of the Cairngorms and 4,085 ft high Cairngorm mountain. 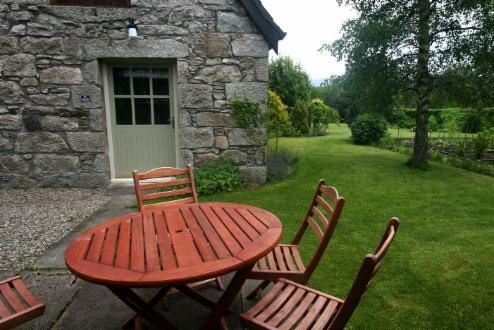 The kitchen has a cooker, microwave, fridge, washing machine and dishwasher. There is access to secure storage for bikes, canoes, etc. 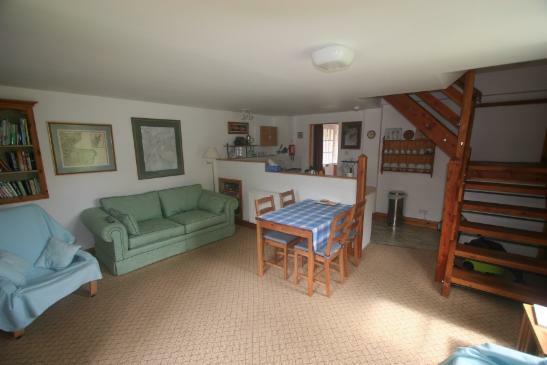 The Hayloft and patio - entrance on right - bedroom above.